Always on the lookout for novel ways to attract teens, Facebook purchased viral polling app TBH last October. The app fell well short of anything innovative but did manage to snag an estimated 2.5 million users, mostly teens, just a few months after its launch. While it’s easy to point to as a failure — Facebook shuttered the app last month due to “low usage” — the purchase price of the app (less than $30 million) may end up paying dividends down the road. 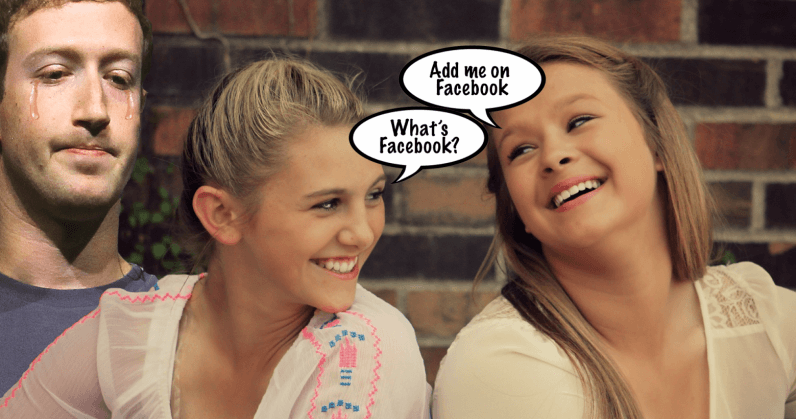 Facebook, as has been well-documented in recent years, is losing boatloads of teens to competitors. While some of them happen to be Facebook-owned properties (like Instagram), others (like Snapchat and YouTube) are still pulling a fair share of users from a platform teens are increasingly equating with old people. But the acquisition points to a sneaky way to collect teenage users, and as documents obtained by BuzzFeed News show, the strategy is highly reproducible. TBH admits that these tactics are “too scrappy” for large companies, but expanded on a rather novel “psychological trick” in an internal memo — you can view the full memo at BuzzFeed. The method, in case you were wondering, doesn’t violate Instagram‘s terms of service. The platform allows users to create multiple accounts, and doesn’t require them to disclose their real identity.